Home › Blog › Why the Status Quo Pros won’t actually debate in Denver or anywhere else. Why the Status Quo Pros won’t actually debate in Denver or anywhere else. People are all anxious and ready to tune in to the big fancy “important” debates between the Republican and Democratic nominees for U.S. President. It’s like DING, DING, DING! 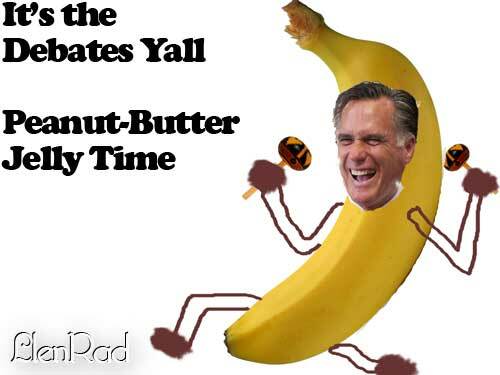 In this corner……..the challenger he’s Mormon but not that kind of Mormon Mitt “The It” Romney. 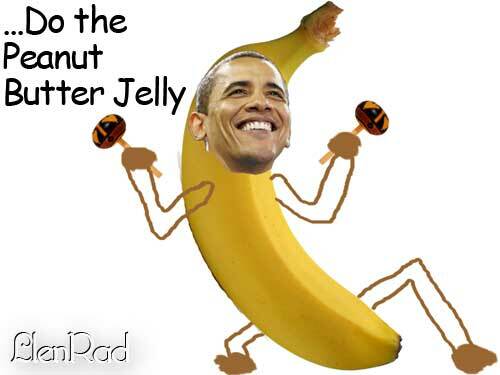 And the incumbent, the champ……..coming in at a record of 1 and 0 the peace prize bomber…………..Barack Hussein Obama. Is the hype for the 2012 presidential debate real or synthetically promoted by the media? Do you feel that people are really connected to what will happen on October 3rd? The 2012 debates are just like every other single year, billed as THE MOST IMPORTANT OF ALL TIME, ever, in history. Why? Is it because this year the candidates are really going to hash out real issues in full view of the whole nation? Uh-uh. Instead what you’ll get is an amazing awkward duel Doppler stump-speech-off type situation with a moderator slash all-time-hype-man mc’ing the big show like an academy awards or something. Americans have already figured out that the individuals on the stage are paid to represent their campaign contributors, not them. Thanks to the league of women voters we know what the debates really are, a big fancy expensive fraud. A great big circus with two ringleaders, two clowns, a donkey, and an elephant. They’re status quo pros not change agents. Politicians want you to think they’ll change things but they will only change what they say while giving the people “more of the same.” It’s like that saying meet the new boss same as the old boss. This is what the people who pay for their campaigns want so this is what you get. They are working together. If you look up the history of presidential party membership you will see a point when Republicans and Democrats were the same party. Even Thomas Jefferson was a member of the Democratic-Republican party. They split starting with Andrew Jackson and have been “allegedly” separated ever since. However, it is obvious to anyone watching that they have rejoined. I understand trendies and children still want to believe their rhetoric but soon enough they will know better too. Watch for yourself at the debates, Romney won’t mention fast and furious and Obamna won’t talk about Romney’s sons and him skipping out on Wars they promote. The brainwashed supporters may attack each other but the candidates will be safe in each other’s loving arms just watch, you’ll see. They can’t. You might think a status quo pros real talent would be making impromptu live performance where they speak off the cuff from the heart to people about how they feel. The truth is they can’t barely talk unless it’s in a well choreographed and controlled event. Basically a T.V. Commercial or a sitcom cameo appearance. This is why you only get to hear from these clowns on THEIR specific and demanding terms. This is how they disguise the fact that they are actually terrible hacks that need someone else to write every single word they speak. If not they would inevitably flat on their faces with “off message” comments that reveal how they really feel. Romney dissed over 40% of Americans when he spoke off the cuff and Drudge is releasing a video of Obama that’s sure to do offend plenty of Americans.